The food industry is one of the most popular among consumers . when you walked in shopping , you will say many different kinds of foods service , such as juice , coffee , dessert , snack foods , fast food , ice cream , candy and more . Today I want to introduce a some popular crepe kiosk , if you also interested start your own food shop, pls follow me see more details at below . Type 1 : Modern crepe kiosk export to New Zealand . 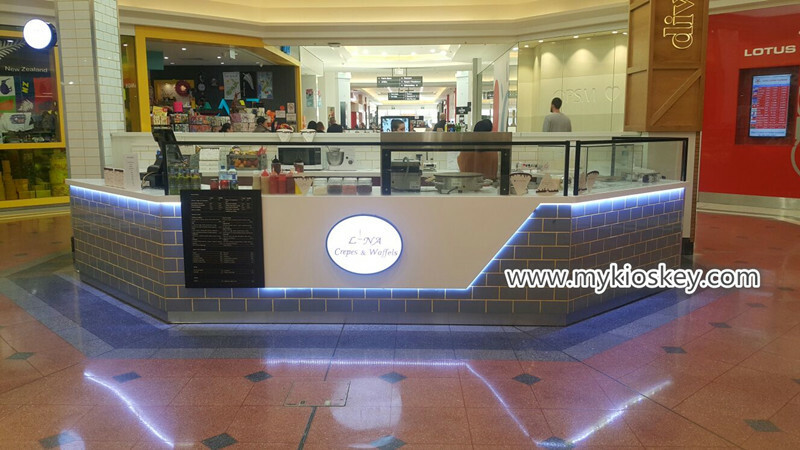 Type2 : Creative crepe kiosk export to UK . 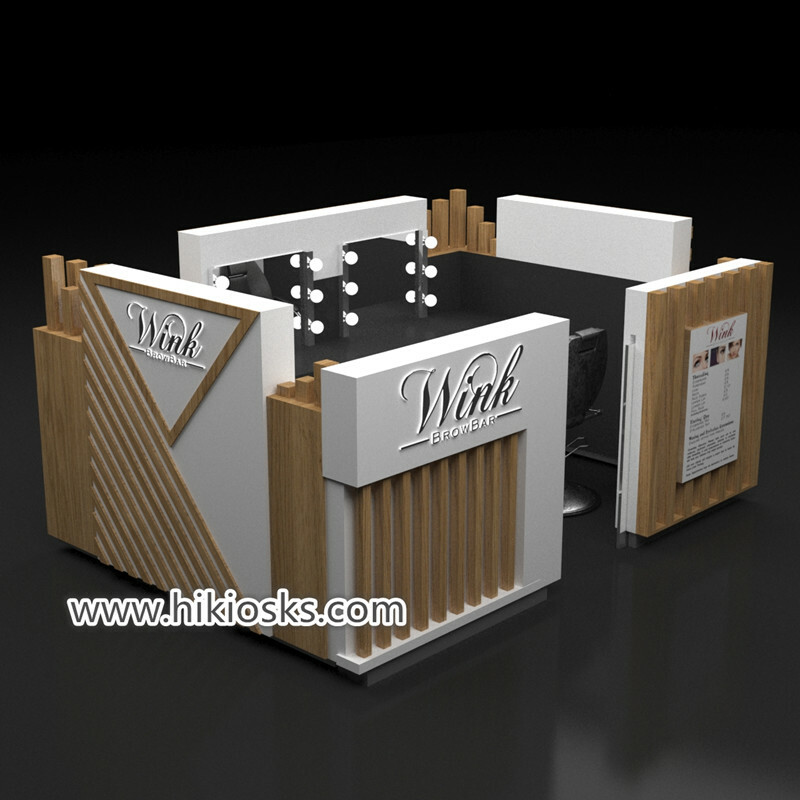 I had to say the kiosk is very mini and simple , mainly tone is white match some orange, basic material is fire retardant MDF , surface is baking painting finished and colorful strip decoration . white man made stone worktop. wooden cabinet , stainless steel skiritng with white led light strip at the bottom. Accessories : LED light strip . acrylic box , Luminous acrylic logo , light box and more . When you first saw this crepe kiosk , I guess you will be deeply attracted to it. whole kiosk mainly tone is wathet blue , match white and wood grain laminate . 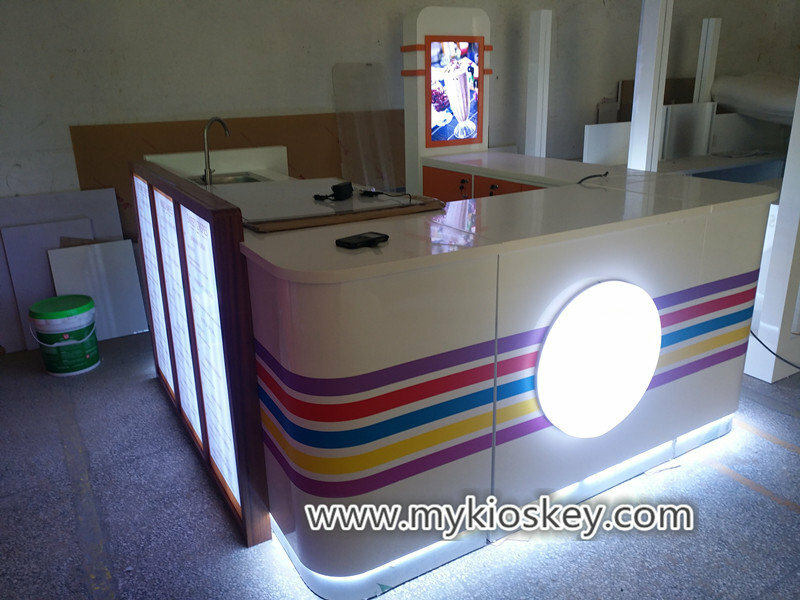 total size is 6m by 4m , basic material is MDF and plywood, blue color baking painting and laminate finished , white man made stone worktop , wooden cabinet , stainless steel skirting with white led light strip .The front part of this kiosk mainly do display and cashier , with two big salad bar and cash register left sides is many crepe machine , you will notice the kiosk inside with a baffle, back sides with a long wooden counter for put more machine. How can i customized a Crepe kiosk like this one ? 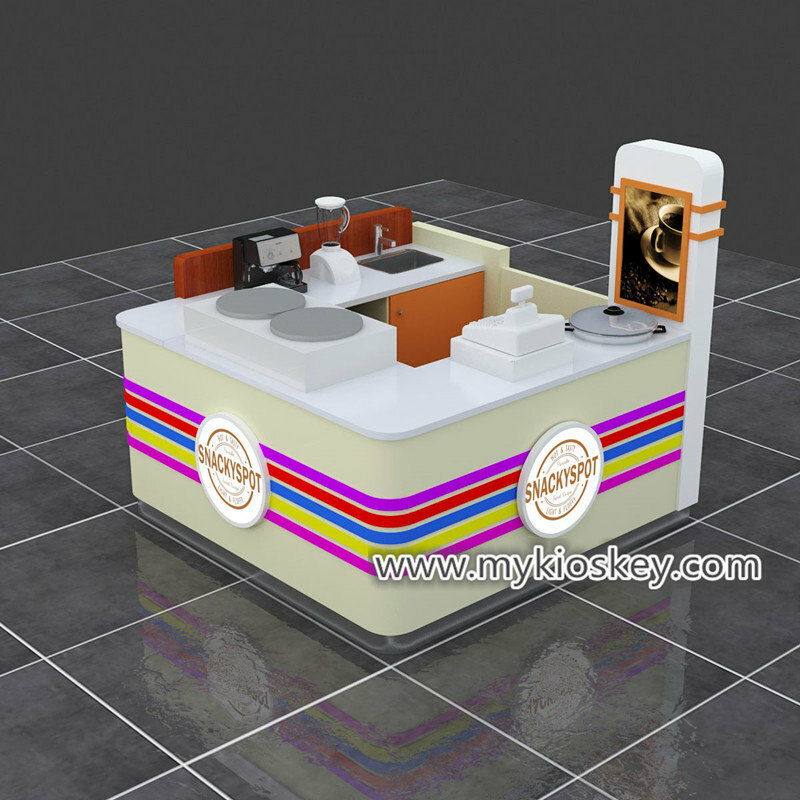 Thanks for your time and reading , hope this article has been helpful to your business．if you interested build your crepe kiosk or other mall business , pls not hesitate contact us now , we have our professional design team can help you make a unique design . of course if you have ideas and have own design , we also glad to give you some suggest and help you production it . Look forward to further cooperation .